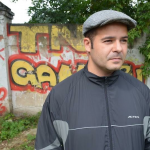 Note from the LeftEast editors: Interview conducted by Vasile Ernu for Criticatac.ro, introduced by Giuliano Vivaldi and translated from the Russian by Joseph Livesey. One would have hoped that the occasion of the centenary of the Russian Revolution would have lead to a serious reimagination of both the event in itself as well as the legacy and history emerging from this monumental event. In the English-speaking world many books have been rolling off the press in an attempt to reread this event in a number of ways. China Mieville’s October was arguably the best-written of the actual accounts of the revolutionary year. It’s a matter of argument whether many other volumes have contributed to a genuine reimagination of 1917 or have played more to the need for contemporary myths of the revolution. For many though (and especially amongst the Western left) the need to tailor the myth of October to one’s political position has counted more rather than any general re-evaluation of the Russian Revolution or the Soviet experience per se. What is certain, though, is that the conversation about the Revolution and its legacy within the Western Left has taken place in complete ignorance of the conversation that the critical Russian Left has been having. This ‘non-communication’ is, of course, not new. There has always been a significant divergence between the discourses of Russian Leftists and Marxists and those in the West. Yet some of those barriers that went up in Soviet times after being eliminated have since metamorphised into other parallel barriers. 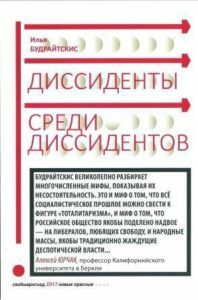 Certainly there exists a rather one-sided exchange: a well-read Russian leftist might well know of western writers on Russian 20th century and contemporary history and, in general, will know of a large spectrum of contemporary western thinkers but this is very rarely reciprocated by western leftists. Clearly this has much to do with the general lack of translations of left Russian authors (and the rare willingness of western journals and publishers to discover Russian authors), and so one-way traffic that intellectual thought has moved is only reaffirmed further. In recent decades a small conduit has opened up through the world of art: indeed, many Russian leftists are published more often in art journals than they are in the conventionally political leftist public spheres. Otherwise any contacts that there are have been restricted to the academic sphere. Ilya Budraitskis’s collection of essays, Dissidents Among Dissidents, published by Kirill Medvedev’s Free Marxist Press is a major contribution to this dialogue. In fact, several of its essays, have been published in English either on LeftEast or in the more arts oriented e-flux. Vasile Ernu of CriticAtac interviews him about it. Vasile Ernu: In your recently published book about Soviet dissidents, you offer a narrative very different from the one we are used to seeing. What did you want to reveal in this book? What was your purpose? Ilya Budraitskis: Dissidents Among Dissidents is a collection of texts I wrote in recent years that bring together my thoughts on the Soviet heritage in society, politics, and culture. I try to reject both liberal anti-communism as well as nostalgic defenses of the USSR. These apparently dichotomous approaches converge in treating the Soviet legacy as somehow homogeneous, devoid of its own politics—simplistically either a totalitarian evil incarnate, or a golden age, robbed by traitors and western spies. The specter of this mythologized past continues to play an active part in today’s post-Soviet society. Calls to “overcome the criminal past,” or, conversely, for historical restoration, have become extremely effective means of ideological manipulation wielded by those in power. As a result, in Russia, a country that has been setting world records for social inequality and the off-shorization of capital, the authorities have succeeded in portraying themselves as the legitimate heirs to the Soviet past. Russia’s economic and political elites came into power by destroying Soviet society, yet an essential element of their ideological hegemony consists of declaring loyalty to Soviet state tradition. Thus, the question of what we mean by “the Soviet,” in terms of society, politics, and culture, is not only a historical question, but also one that asks after key contradictions in the present. The book’s longest chapter is a survey of the history of socialist dissidents in the USSR from the mid-1950s to the early 1980s. Understanding this movement—the various, predominantly Marxist, critics of the USSR on the left, the attempts to create divisions between its pro-liberation and authoritarian factions, as well as the suppressed conflict between the majority and the reigning bureaucracy—is exceptionally important today in resisting the various ways in which the Soviet legacy is manipulated. Vasile Ernu: When we talk about dissidence, we usually only have in mind liberal groups. You state that there was also substantial dissidence “on the left” in relation to the Soviet regime. Was there really “leftist dissidence” in the USSR? Ilya Budraitskis: It is true that, when people talk about dissidents, it has become the norm to identify them with the human rights movement that formed in the second half of the 1960s. However, even though today’s liberals brazenly claim this tradition as their own, in the 1960s there were practically no people who directly identified themselves with political liberalism, its market principles, concept of “negative freedom,” and so on. Human rights advocates basically refused to participate in “politics,” in the sense of conceptualizing alternatives to the status quo, as they tried to champion human rights in what was then the here and now. Socialism, from the perspective of many human rights activists, was not incommensurate with individual freedom. On the contrary, achieving that freedom was socialism’s programmatic principle. Many thought that the level of technical development achieved by the USSR towards the end of the 1950s would enable Soviet socialism to move from its vulgar, repressive manifestations towards realizing its ultimate humanistic concerns. For those people who distributed samizdat or signed joint letters in the 1960s, “socialism with a human face” remained the consensus. Still, by the 1970s and 1980s, a significant number of the dissident human rights movement became disillusioned with socialism and moved to the right. Nevertheless, during that time—from period of “the Thaw” in the 1950s and 1960s, up to the start of the 1980s—we see Soviet dissidents who were Marxists, whose approach was to highlight the paradoxical status of Marxism in the USSR: namely, that while it remained official dogma, using Marxist theory as a measure of the Soviet state, and the nature of Soviet society and its contradictions, was criminalized. In my essay, I describe the main groups who provided such a critique of the USSR on the left, as well as certain important socialist samizdat writers. Vasile Ernu: Who were the most well-known dissidents “on the left?” Which were the important groups? And what were their main features? Ilya Budraitskis: Key individual figures were Petro Grigorenko, Raisa Lert, Leonid Plyushch, and Roy Medvedev. Examples of important groups were the Krasnopevtsev group at Moscow State University at the end of the 1950s, the Leningrad Union of Communards in the early 1960s, and the Moscow “Young Socialists” in the late 1970s. Vasile Ernu: What happened to these people and groups after the end of the Soviet Union? Where did they end up? Was there such a huge difference between liberal and “leftist” dissidents? What united and divided them? Ilya Budraitskis: Practically all participants in these socialist groups were repressed by the KGB: many went through political camps and prisons, others simply had their lives destroyed and lost their jobs. By the beginning of the 1980s, the dissident scene had been basically swept away by a powerful wave of repression, part of the political climate of rejecting “Détente” and the strengthening of Andropov’s position. By the beginning of Perestroika, the majority of former socialist dissidents were already different people—some disappearing into private life or academic work, while others, who moved to the right of the political spectrum, continued to participate in political life, but no longer as socialists. Of course, there were a few who remained faithful to their convictions. Even if there wasn’t really any significant continuity between the Soviet left-wing dissidents and the post-Soviet leftist movement, it’s important for me to restore this genealogy. In recent years, there have been more and more scholarly articles devoted to the history of particular underground socialist groups in the Soviet era. I hope that my essay will make a modest contribution to bringing back awareness of this forgotten heritage among current non-Stalinist leftists in the post-Soviet region. Eastern Europe as a periphery: The case ..
A reflective and subjective guide to Mol ..
Vasile Ernu: There is a myth about the so-called “red person,” the eternal problem of the indelible mark of “Soviet mentality.” Apparently, everything in our societies is a mess because of this mentality, this “legacy” of the past. And the dominant discourse tells us that everything will turn out fine if we rid ourselves of it. How do you explain this phenomenon? Ilya Budraitskis: That’s what a whole chapter of my book called “The Eternal Hunt for the Red Person” is about. It is an exploration of this reification in the prevailing liberal rhetoric of the “undefeated past,” which has produced the image of a mass “Soviet person,” submissive, envious and bitter, unadapted to the market, suspicious of minorities, and uninterested in high culture. It’s this concept known in Russian as “sovok,” which continues to dominate everyday anthropology even 25 years after the end of the USSR and the expansion of the market. Putin’s Russia, in this reading, is a kind of nature reserve, inhabited by these engineered, damaged people. The reform program, consequently, consists of returning this population to accepted norms. This false idea of ​​the “red person” hijacks discussion of the present moment’s contradictions (while, of course, not making Russia any less a part of global capitalism), replacing it with a symbolic struggle over names and monuments. On the other hand, the scarecrow of the “red person” has facilitated the success of the Russian establishment’s anti-Western rhetoric, where supposedly we, as the bearers of some alternative, higher set of values, oppose the West. Whereas in reality, the aggressive individualism and contempt for the common interest shown by Russian elites, who annually remove billions of dollars out of the country into offshore accounts, in no way distinguish them morally from the norms and values of market relations. Vasile Ernu: There is a widespread myth in Russia that the “liberal intelligentsia” craves freedom, but the people traditionally want “despotic rule.” You are claiming that this is really not the case. What is your explanation? What is really happening? Ilya Budraitskis: This myth, which is extremely useful to the authorities, dates back to the nineteenth century, when the then rulers rationalized the union of the people and autocratic rule by asserting the necessity of constantly reigning in flawed human nature. 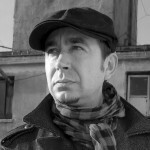 Konstantin Leontiev even referred to autocracy as a form of “self-torture for the Russian people.” Today this sado-masochistic image of national life is used by both those in power as well as liberal intellectuals, for whom striving for freedom is seen as a personal project, unrelated to the rebuilding of a country that has no hope. This pessimistic take on nature, this organicism of Putinism, should be the object of sustained criticism.